cupational health and safety, envi-      same for both of our stakeholders. bility topics. For this analysis, we     mance  directly  and  significantly. 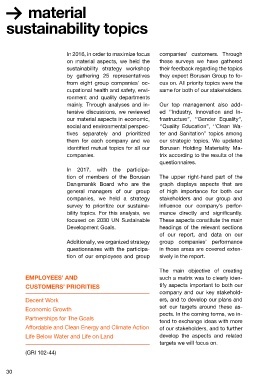 tion of our employees and group          sively in the report. targets we will focus on.